Tiramisu–the Italian dessert traditionally made with spongy ladyfingers soaked in coffee and layered with fluffy mascarpone cheese and dusted with cocoa–was a staple of fancy 1980s restaurant menus. But, by the time it showed up as a joke in the 1993 rom-com Sleepless in Seattle, it was clearly starting to fade from high-end respectability. 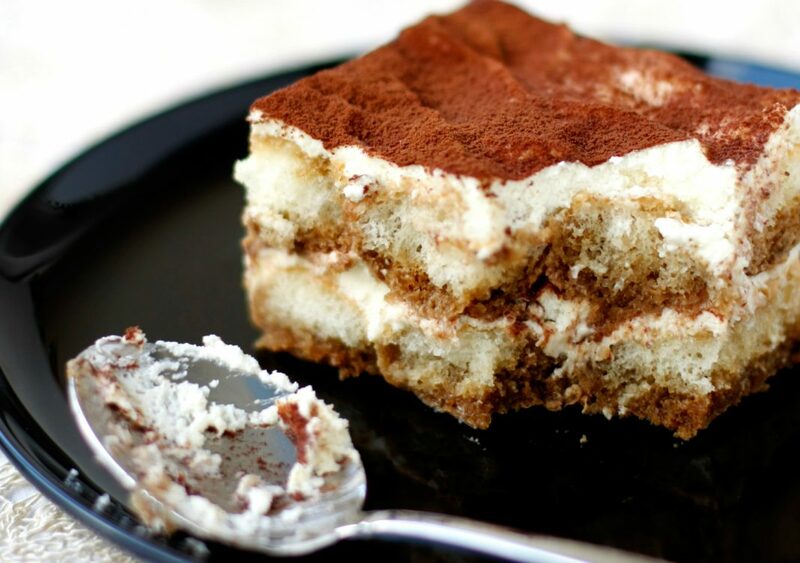 After that, you could find a mass-produced, pulled-from-the-walk-in square of the stuff at you basic, neighborhood Italian joint, but really delicious tiramisu became a bit scarce. Slowly but surely, however, local pastry chefs seem to be returning to the classic treat, with rich, creamy, house-made versions starting to appear. When you’re ready for a little #TBT (here meaning throwback tiramisu, obviously) here is where you’ll find the best tiramisu in town. Owned by Italian soccer player Alessandro Del Piero and with a chef de cuisine who came to L.A. straight from a Michelin-starred kitchen in Tuscany, this spot has some direct connects to the motherland. This version is prepped in an individual cast iron ramekin like a creme brûlée, and comes with a cute spoon-shaped cookie. N. 10 Restaurant 8436 W. 3rd St., Beverly Grove. If you’re able to make it to dessert after a big serving of fresh, homemade pasta—which, we concede, should be your first priority at Maccheroni Republic—then you’ll be happy to know that the tiramisu here lives up to the main courses. You’ll get a personal bowl, dotted with cute piped-out little squirts of whipped mascarpone, and it will be delicious. 332 S. Broadway, downtown. Like most things at the Instagram-ready Bottega Louie, the tiramisu here is chic as well as tasty. It’s a more cake-like in style, giving it the structural integrity to be cut into sharp squares with clean edges that don’t slump over. Across the top, a diamond lattice motif, because you’re fancy. 700 S. Grand Ave., downtown. Maybe your idea of a good time is being left alone at home, just you and your own little plastic take-away container stuffed full of tiramisu. The best way to execute that plan? Pop into Pasta Sisters and grab a box of their delightful goodness to go. You could, of course, also get some dinner while you’re there, but that’s up to you. 3343 W. Pico Blvd., Arlington Heights; 3280 Helms Ave., Culver City.